and BOTTOM RIGHT: KILLER sudoku! 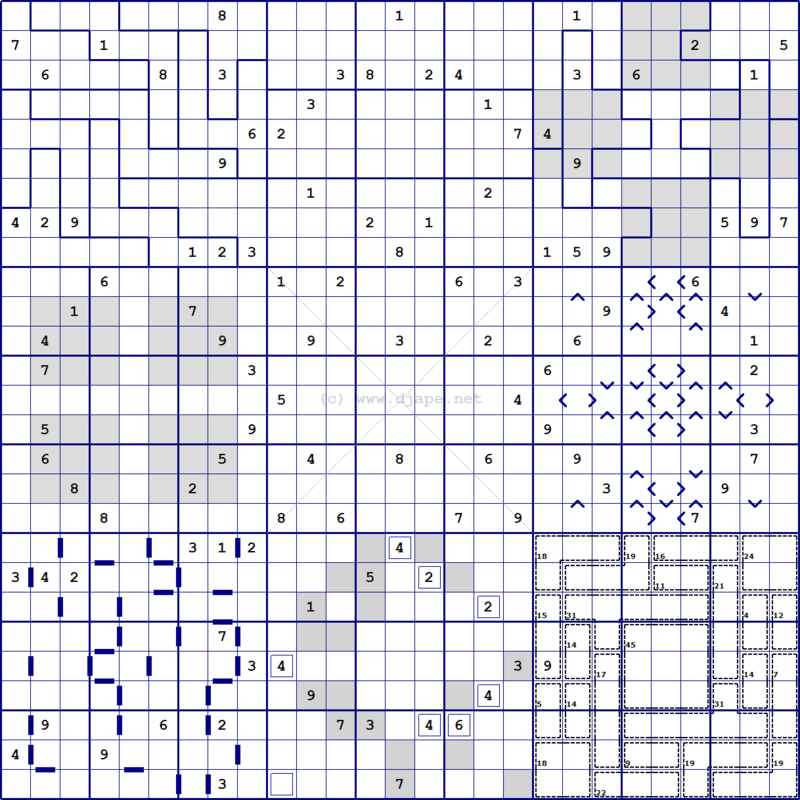 Again, I remind you that the 10th puzzle is a plain vanilla sudoku! Are you ready for this!? 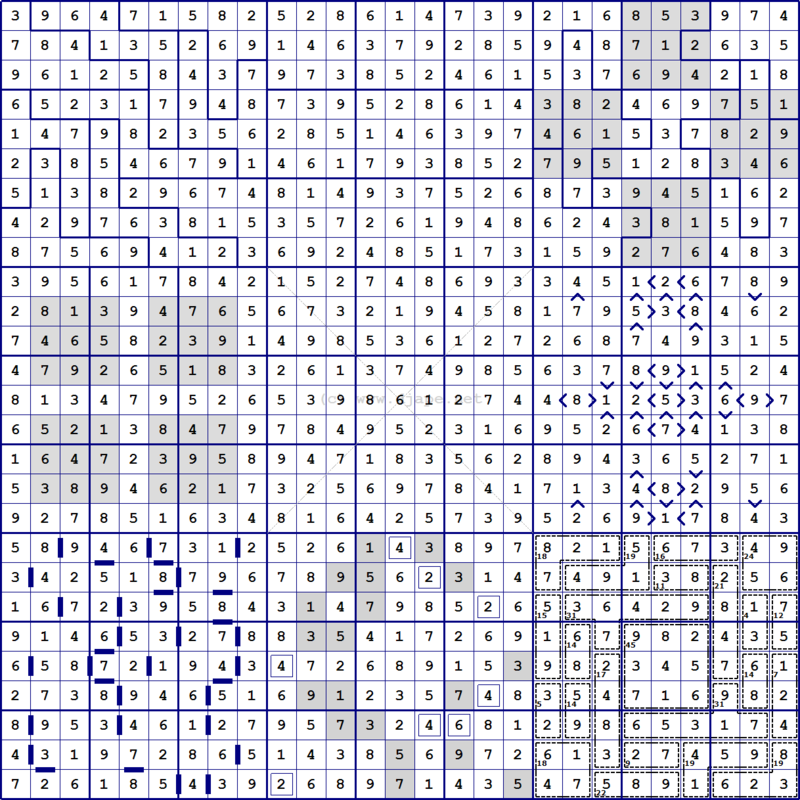 PDF Version of this puzzle: Clueless LOCO Sudoku puzzle in PDF. This entry was posted in Free sample puzzles, Jigsaw Sudoku, Killer Sudoku, Sudoku Variants and tagged killer, samurai, variant. Bookmark the permalink. Post a comment or leave a trackback: Trackback URL.